True to form, I’m writing an update for an event months after it occurred – this time it’s the Aust & NZ chapter of the Association for the Study of Literature, Environment and Culture (ASLEC-ANZ) biennial conference, which was held at the University of New England in Armidale. This was one of the best conferences I’ve been to, rivalling another which was also held at UNE – the 2015 Association for the Study of Australian Literature on ‘The Power and the Passion: Contemporary Australian Literature and Politics’. Maybe it’s because I can stay at Parental Unit’s & therefore the anxiety of conferences is mitigated, and/or maybe it’s because the folk are UNE are really nice. Below are my notes from the conference, which come with the caveat that there might be some errors because I am never 100% sure that I can hear everything properly. The conference was from Wednesday 13th – Friday 15th February. 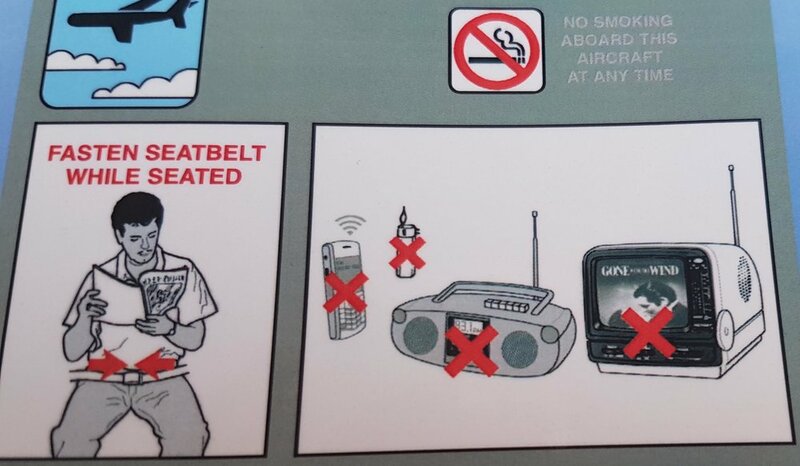 I caught the tiny plane down from Brisbane, which I loathe because it gives me claustrophobia and the vibrations from the engine rattle through my body, but the 1980s safety card never fails to put a smile on my dial (no Gone with the Wind! It’s outrageous). On Wednesday morning (and every morning thereafter) Parental Unit kindly stopped by Seesaw Coffee to service my caffeine addiction then drove me to the uni, though the organising committee also helpfully arranged car pools, bus & coffee for other participants from the Goldfish Bowl. Once I was dropped off at UNE, I located other friendly environmental folk plus my lanyard, which was the best lanyard I’ve ever had because it was compostable. Uncle Colin Ahoy generously welcomed us to Anaiwan Country, and the Dean of HASSE, Professor Michael Whitmore, welcomed us to UNE. Then there was a brilliant plenary panel from Carolyn Briggs, Gabi Briggs & Callum Clayton-Dixon, chaired by Kate Wright, on the Reclaiming Anaiwan Language project. Here’s a vid which explains the work which the group is doing. As Callum pointed out, the reclamation project does not rely upon government funding to survive or progress, and nor is the group willing to use government funds, given that the government is a legacy of (and perpetuates) colonial rule, so donations are welcome. This is a really important project, as language comes from Country, as Callum explained, so the restoration of language goes some way to restoring Country. He also described how he had been out in the area a while before and it was like a dystopia, given the drought, tree clearing and the hardening of the ground from sheep’s hooves, which made me think of Claire Coleman’s Terra Nullius, which I set as a text in my Oz Lit course. One of the great things about placing this panel first in the conference was that it acknowledged Aboriginal custodianship and set the tone for the rest of the proceedings. As one conference member noted, the Acknowledgment of Country at the beginning of each subsequent paper was like a pulse through the conference. After that was the first trio of papers, of which I was a part. I presented an update on my 2014 article on climate fiction & referenced James Bradley’s Clade and Jennifer Mills’ Dystopia by way of example, and also mentioned the impact of climate change on non-fiction by way of Delia Falconer’s brilliant essay in the Sydney Review of Books, ‘The Opposite of Glamour’. She has also published a follow up essay, which is compelling reading. I also mentioned Austlit’s soon-to-be-released dataset on Climate Change in Australian Narratives, which is spearheaded by scholar Deborah Jordan. In this panel I was alongside Fiona Utley, a philosopher at UNE, and Ian Collinson of Macquarie University, who spoke about popular music and the environmental crisis – an element I’ve never really thought of before, so it was eye (or ear?) opening. Also, my dad took a break from his renos, changed his shirt & cycled up to the uni to listen to my paper, which was lovely of him. After that was lunch (all vegetarian! ), and then a set of papers centred around Storying with Nonhuman Beings and Concepts. Grace Moore gave a fantastic paper on Trollope’s descriptions of mining, and Kay Are of Melbourne Uni drew on Vicky Kirby’s ideas in relation to biosemiotics, raising the interesting question of whether the world wants to know itself by telling its stories through us. The next keynote was a wonderful presentation of Dan Hikuroa from the University of Auckland on ‘Te Awaroa – the Voice of the River’, which was about granting rights to the rivers in New Zealand. Dan is an Earth Systems Scientist who incorporates mātauranga Māori (Māori knowledge) into his work, drawing together Māori science and Western science to benefit communities with whom he works. Much of his presentation was in Māori and it was such a pleasure to hear the language tumbling into the room. Bushfires were raging near Tingha at this time, and as we boarded the bus to go to the community gardens, the sky was an apocalyptic orange. I sat next to a poet who had grown up not far (in Australian terms) from where I’d been raised – she was from near Coonabarabran, & I from Boggabri, & I’d met her earlier in the year at a conference on postcolonialism and climate change at the UNE campus in Parramatta. It was lovely to catch up, & also nice, I reflected, to have a year book-ended by environmental conferences. The event at the Armidale Aboriginal Community Gardens exhibited of a series of portraits of local Aboriginal Matriarchs by local Anaiwan woman, Gabi Briggs, honouring matriarchs who played important roles within their families, clans and wider community. The images were fantastic - bold and strong - and there were lovely people to meet, speeches and a dance performance from a young woman, but I was pretty whacked after a day of trying to hear, & I knew once the sun fell I wouldn’t hear anything as I wouldn’t be able to lipread, so I had to cut my time short & head home. Day 2 began with a keynote from Gomeroi lawyer & poet Alison Whittaker which absolutely knocked my socks off. She described the consumption of her poems at events such as the Sydney Writers Festival (where attendees touched her on the arm for being ‘brave’) alongside the injustice of deaths in custody (out of 150 referrals relating to deaths in custody, only 11 were referred for investigation, 5 went to court, 1 was convicted & then was acquitted) and asked us: where do we locate justice-seeking literature when it doesn’t locate justice? She also called for a focus on black joy, particularly given how white people absorb & adjust (to the point of ignorance) to black suffering. The next session I attended was a panel of writers from the University of Wollongong; Joshua Lobb, who’s just released a book, The Flight of Birds, Catherine McKinnon, who published the acclaimed Storyland, and Sue Ballard, a New Zealand curator & writer. Their process was collaborative – they had written the pieces they read out together – which to me, as a writer who works predominantly on her own, was fascinating. Their writing, which was on things nuclear, was also very good. As it was Valentine’s Day, at lunchtime I bustled off with some other folk to declare love to a gum tree. A scientist met us near said tree and told us how last year 70 trees were removed & chipped because management were worried about them dropping branches onto people, but after some protests & a campaign they stopped chopping them down. However nearly 400 trees are listed for removal in the future. The scientist read his paean to the tree, then leapt over the ground and hugged the trunk. Due to tree poems, I missed a bit of the next panel, but listened to poet Kate Middleton’s musings on the ghosts of people who had been exiled because of leprosy. In the next suite of papers, Alexis Harley discussed mycelium & fungal narratives, & described how if logs with fungi spores are bashed a bit, fungi sprouts more than it otherwise would (which I thought was a perfect metaphor for the stressed out, precariously placed, and brutally productive 21st C academic), much to gourmands’ delight; Emily O’Gorman presented her research on Indigenous women who weave sedges & rushes from three particular wetlands in the Murray-Darling basin, & illuminated their ongoing connection to Country; and Kate Judith presented on storying with mangroves. The writing of those three papers wended in and out of their ecosystems in lovely ways. That evening there was a poetry reading at the Armidale Tree Group, & then the conference dinner at the Goldfish Bowl, but I had to bypass those events as I was worn out from listening all day, even though the loop systems were great and people took care to use the microphones, which was such a boon for me (usually there is no hearing equipment or it doesn’t work). The AGM was held the next morning at 8.30am. I’m not a good morning person, but staggered in on time with a coffee. Usually I avoid AGMs they’re too hard to follow, but this was a small group which meant I could hear, which I appreciated. And then it was time for a series of plenaries and keynotes. The first was a video conference with ecofeminist Greta Gaard on air, which was apposite given that the sky was still smoky from the fires, although by the time her presentation finished (apparently canned smog was a thing in the 60s!) I realised how lucky we are in Oz to have largely clean air. This was followed by a plenary on the Kandos School of Cultural Adaptation, which was superb in the way that it drew together artists, scientists & farmers. One of the things I loved about this conference was that it went beyond the academy & engaged with communities and organisations, which is so important in terms of getting knowledge out of the ivory tower. This was followed by a keynote from Thom van Dooren on moving & growing a population of Nihoa Millerbirds to Laysan Island in the remote Northwest Hawaiian Islands, as a way of creating an insurance population in the face of climate change, and the implications of such assisted colonisation in the context of the ongoing history of dispossession of Kānaka Maoli, the Native Hawaiian people. The final plenary was a rountable on remembering Deborah Bird Rose, who sadly passed late last year. It was very emotional and I felt for the presenters, who had been friends with Debbie. They created a moving tribute to her amazing and world-changing life and work, and it was a fitting and poignant end to the conference that was, as a fellow attendee said to me over coffee, full of people who thoughtful and well-intentioned. I agreed with that wholeheartedly, as I’ve never felt so well cared-for as a deaf person at a conference. There was a final event, a screening of Terror Nullius at the Belgrave Twin Cinema. The movie looked really good but I had pretty much used up all my powers of concentration and, from past experience, the loop system at the Belgrave doesn’t work. So I said my farewells, went home & drank wine in front of the TV with Parental Unit & their dogs. To get from Edinburgh in Zadar in Croatia, it seemed the only way I could fly (at least according to the fellow at the uni travel office booking my flights) was via Ireland, arriving in Zadar very late at night. It made for an annoyingly long trip when all I wanted was to see my b/f again, having been apart from him for 6 weeks. So at Dublin I checked in again, and the flight attendant helping me said, ‘There are a lot of youth on this plane. There’s a festival in Zadar.’ I wasn’t sure what she meant, or if I’d heard her properly, until I got to the departure lounge and found myself surrounded by fifteen year olds. As I stood behind them in the boarding queue, feeling conspicuously old, I wondered how on earth their parents could let them go to a foreign country when they were so young, unless it was like sending them from NSW to Queensland, given that the borders in Europe are so fluid. And lo and behold, on the plane the young ‘uns became very lively indeed, and towards the end of the flight they were shouting, singing and harassing the male flight attendant. 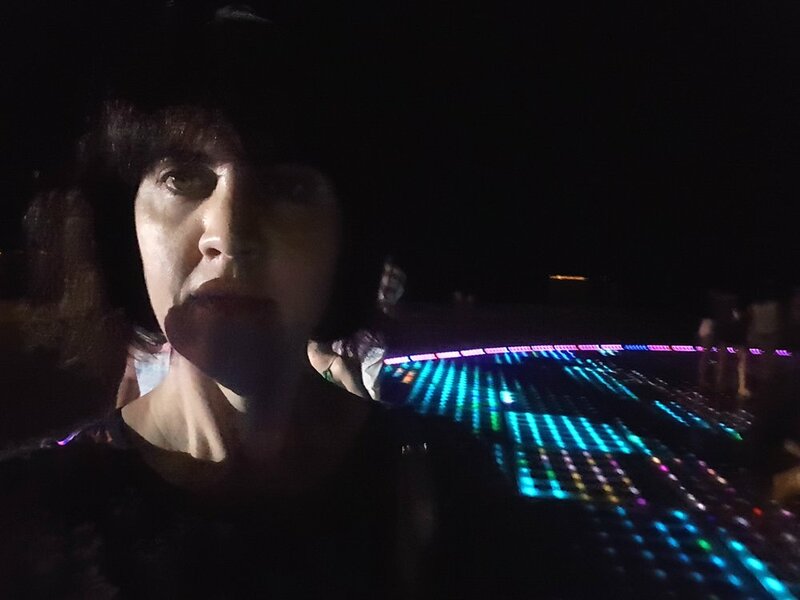 As the plane dipped into Zadar and the lights went out, they switched on the torches on their phones to make strobe lighting and continue their discotheque. I was able to turn off my hearing aid and keep reading, but the poor bloke beside me was not so lucky. The flight attendants were pretty tight-lipped as we filed out. As I was arriving at 11pm in a foreign place, I had prebooked a taxi, and was relieved that the driver was a woman. She had short blonde hair and chatted on two mobile phones as she drove, switching between them. When she pulled up outside the city wall, I didn’t have far to walk to reach the AirBnB, but I was still anxious because it was so late. 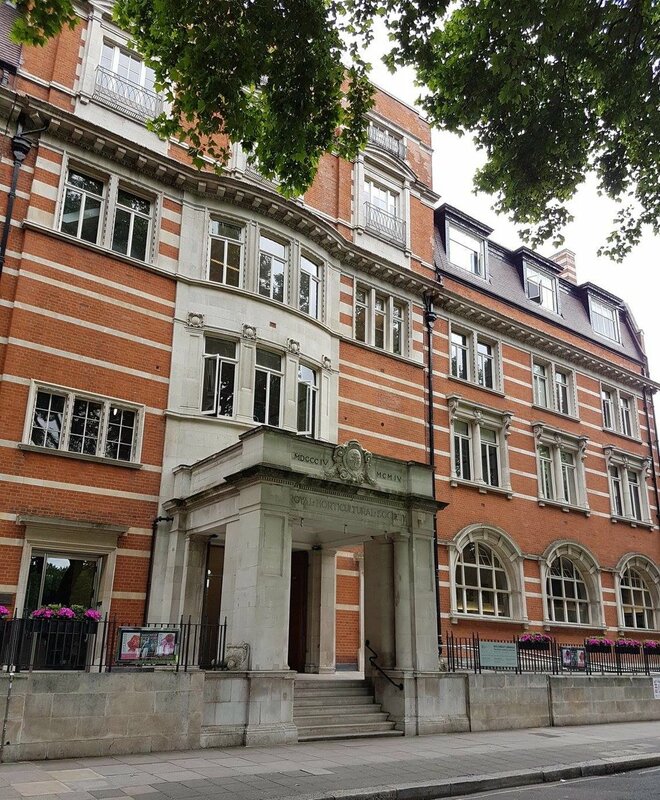 I had told b/f, who had arrived that morning from Germany, that I was concerned, but when I found the square in which the apartment block stood and texted him, there was no response. My fond feelings for him dissipated. I called, but he didn’t pick up, & I started to get angry. I sat down for a bit, waiting, & wondered if I would have to be there all night, & if it was safe. It didn’t feel safe, but this was beyond b/f’s conception as he wasn’t a woman & didn’t have to worry about being raped. Eventually I tried phoning again and to my immense relief he picked up. ‘It’s your girlfriend. I’m downstairs,’ I said tersely. Apparently he hadn’t slept on the bus from Munich & had been asleep since he checked in. I still couldn’t believe that he hadn’t stayed awake when I’d told him how worried I was, but I was too tired to argue & passed out. The next morning I was so pleased to see him & to be in a new city that I got over it. 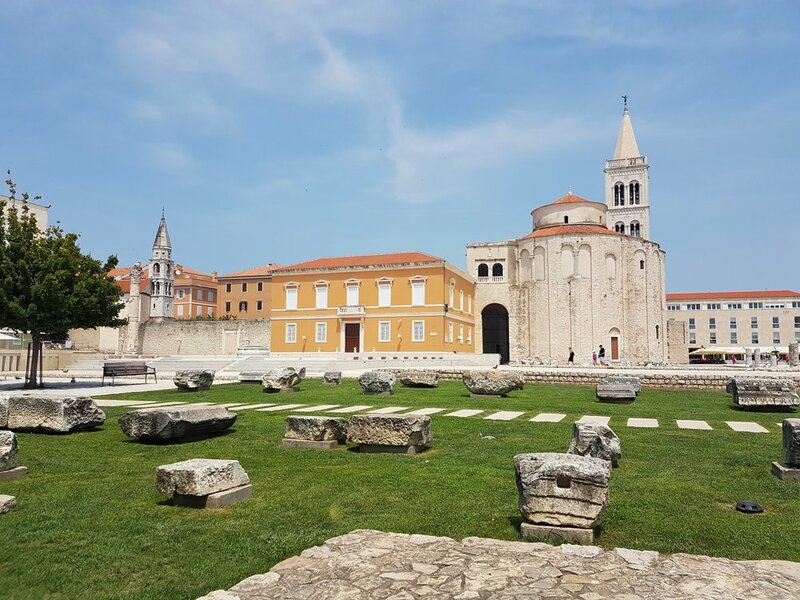 We were in Zadar for a field trip of Kornati National Park organised by the University of Zadar, in association with the European Society of Environmental History conference in Zagreb. The field trip was on the Monday, so during the weekend b/f & I wandered the cobbled streets of Zadar and made much of the local red wine and Pag cheese in the restaurant next door, though we were drenched at one point by an unexpected downpour (not so different to a Queensland storm). I loved the city; it was small, clean and compact, its people unhurried. We found the Sea Organ, which makes sounds when waves rush in and out of it, investigated the Roman ruins, drank lemonade by the sea, slept in the heat, then bought beer and cider from the supermarket next door and drank it on the balcony of our AirBnB. Walking to the jetty in Zadar. On Monday we made our way to the boat ramp for the tour of Kornati National Park, & I was very pleased to meet some Australian academics in the group. When we set off, the tour operators gave us a nip of something that tasted like pretty rough grappa. It went down with a burn, but I liked the novelty of it: shots for morning tea! The Kornati archipelago is made up of 89 islands and was declared a national park in 1980. No one lives on the islands now, but during the war, the guide told us, children were sent there because it was safer than in the cities. There’s very little water and vegetation, due to deforestation. The rocks were of karst limestone, which settled in striking curved ridges upon the water. They were stark white against the astonishingly blue water. I had asked b/f to bring my snorkel & mask over from Australia, but in the bay in which we swam, there was disappointingly little to see, aside from some sea slugs and a few schools of fish. There was plenty of algae, so the ecosystem was obviously unhappy. Beyond a chain slung across the bay were yachts; evidently an attempt to try to rehabilitate the bay by keeping them out. As we headed back to a café to rehydrate, b/f mentioned that we had disturbed a nudist when the group of us walked onto the rocky shore, & that she hadn’t look too impressed about having her morning disrupted. I hadn’t noticed any nudists, being too excited about getting into the water for my first swim since summer. We sailed on to Nature Park Telašćica where we watched some archaeologists from the university carrying out a dig. We climbed a rocky hill and explored a church, and admired the long stone fences that curved over the hills like a spine. After the tour, as the sun went down, b/f & I returned to the Sea Organ to check out the nearby Greeting to the Sun, a large flat disc that lit up with neon colours. The place was crammed with families and was very cool. We walked back through the markets and the air was still mild. I’ve always loved those European summer nights. 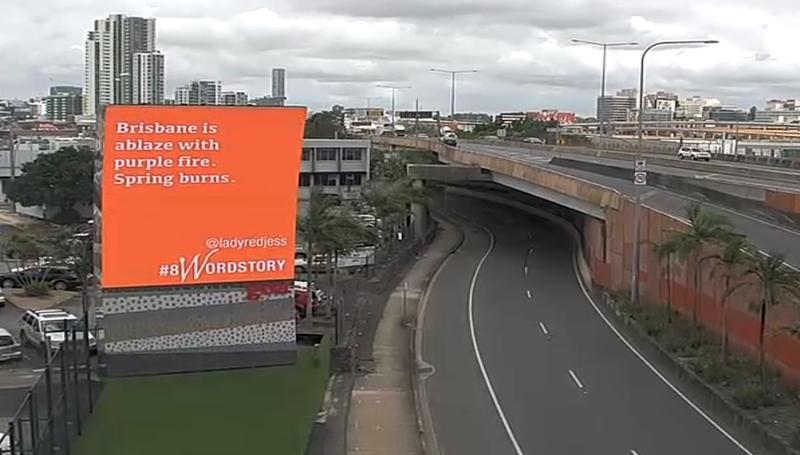 Those on the Queensland feeds might have come across #8WordStory, a project organised by the awesome folk at the Queensland Writers Centre to put eight word stories on billboards across Brisbane. 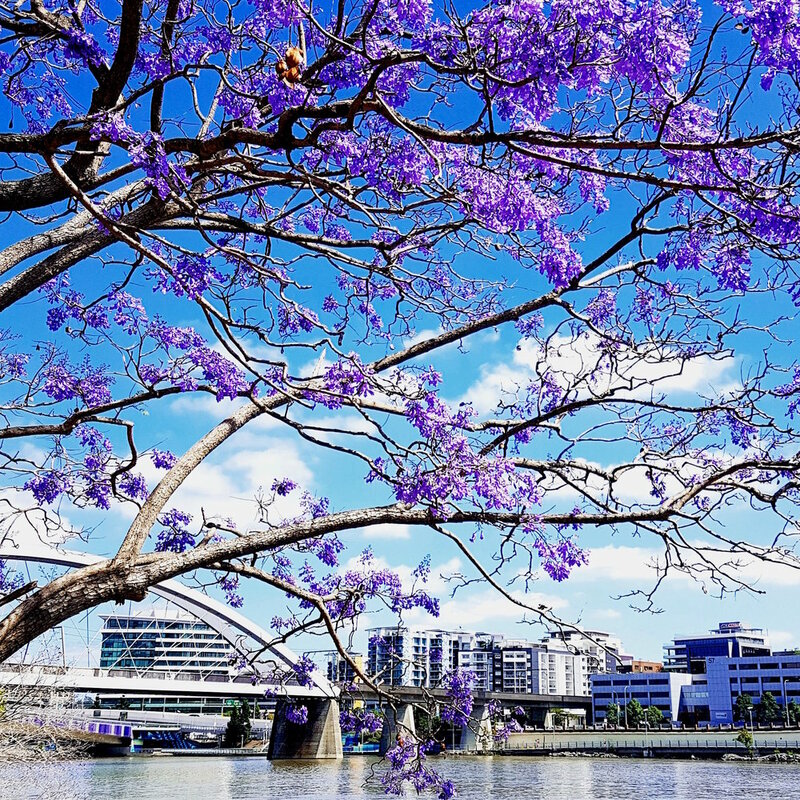 It was October when the call first went out and I was swooning, as I do every year, over the purple bliss of Brisbane’s jacarandas. The #8WordStory project is on for another fortnight or so. Head to the QWC website and submit, & you might see your name up in orange lights! Trust me, it’s pretty darn exciting. And here's another jacaranda pic for the heck of it. A few weeks back I presented at a symposium at UQ hosted by the Translational Research in Creative Practice group, which explores how creative practice can translate complex research in the humanities into the public realm. It borrows this idea from the medical sciences, which translates knowledge created in the lab to everyday environments – the phrase used to describe this is ‘bench-to beside’, which I like. I signed up to present on writing an ecobiography, because I’m interested in how writers can use their craft to convey science, and I think it's imperative to transmit knowledge from the academy to the public. Last year I presented at the inaugural Quantum Words Science Writing festival hosted by the NSW Writers’ Centre, where I met plenty of wonderful writers, including poet Carol Jenkins who wrote the marvellous Fishing in the Devonian, and Indigenous writer Tony Birch, who is doing interesting and important work on colonialism and climate change, looking at how the resilience of Indigenous communities surviving colonialism might educate people on how to negotiate the increasing instability which climate change brings. I also caught up with my pal Cat Sparks, a spec fic writer who has just published Lotus Blue and who makes every occasion entertaining, even when she’s talking about the coming environmental Armageddon (which really is on its way, although Cat maintains we’ll be killed by robots first). At this festival, Nobel Prize winner Peter Doherty gave a marvelous keynote. He expressed his ideas clearly and had a very good sense of humour, which was a balm for everyone’s depression about the US election and the implications of this for our climate. He mentioned how one of the difficulties about communicating science is that science is about quantifying uncertainty and is therefore conservative in its analysis, whereas journalism, which relies on headlines on to sell its news (at least in these days of clickbaiting), is more interested in dramatisation (these are not his exact words, but the gist of them - I had to consult ecologist-philospher-b/f for clarification). Another part of the difficulty in communicating science is confirmation bias: the more emotionally charged an issue is, the more people will interpret information (especially ambiguous information) in favour of their beliefs. Jamie Freestone, a literature PhD student at UQ, talks about the need for making science fun, and points to the success of the World Science Festival in Brisbane. He also mentions films such as Interstellar, and I would also add that docos such as David Attenborough’s Earth II can raise awareness, although Attenborough was criticised for creating an ‘escapist wildlife fantasy’ in which‘worldwide mass extinction is simply not happening’. I’m a bit disappointed that Freestone didn’t mention literature, however, especially as this is his field of focus. And mine too. While entertainment has its place, I also believe in seduction, in pulling the reader into a text through imagery, language, plot and character. And this is what I’m trying to do in my ecobiography, as I explained in my presentation. The impetus for writing the book is to raise awareness of the South West Australian Floristic Region (SWAFR) which is one of 25 biodiversity hotspots around the world (and the only one in Australia), by rendering the lives of the plants Georgiana Molloy collected. I’m following them from the south-west at the time she collected them in the 1830s, to England, where they were distributed by James Mangles, a plant middleman, and then back to the south-west to see how they’re faring now. This forms the book’s plot. 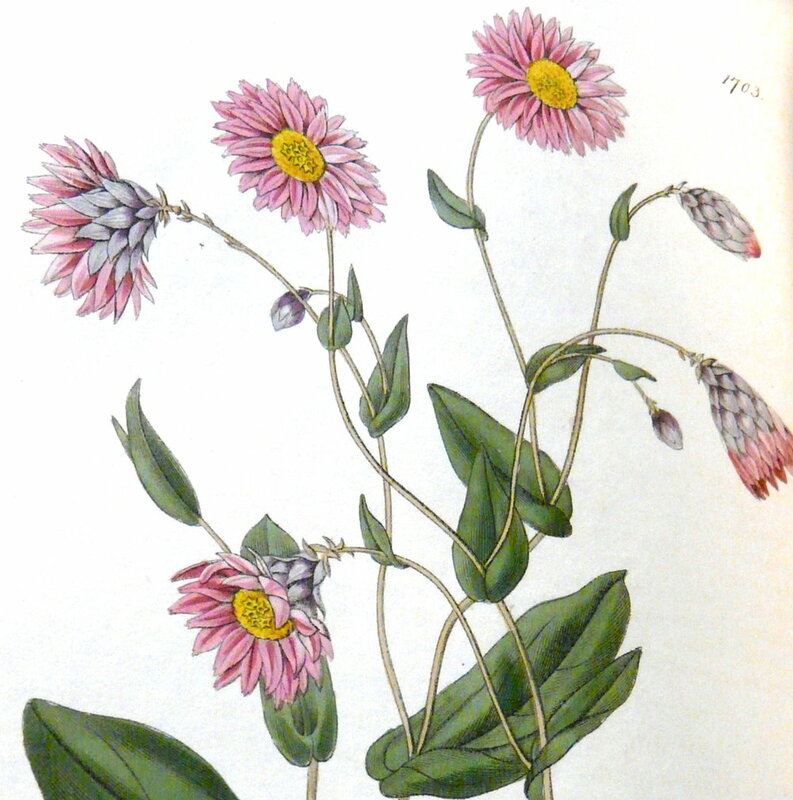 The characters are Georgiana and the Noongars with whom she interacted, the botanist Mangles to whom she sent his specimens, and his acquaintances, among whom he distributed Georgiana's’s specimens. The plants, too, are characters, with different colours and textures, and ways of trapping and acquiring food, and responding to air and light. Through rendering them, I’m trying to explain that they are as just as important as humans. In a traditional biography, a human is the focus of the work, but in an eco-biography, the non-human is of equal significance. My premise is that, if we want to have a life, we need to write the lives that support us. And language is of the utmost importance in this respect - through it, I show readers the beauty and vitality of plants. I’m nearly halfway through the project, and soon I’m heading to England to do research on Mangles and his botanical buddies, which will require much trawling through archives. Hopefully I’ll have time to post as I go, but if not, I’ll be updating my Instagram and Facebook author pages fairly often, in case you want to see what I uncover of 19th century science! Just as it was difficult for an eight year old to comprehend the foreignness of the reef’s creatures, so too is it hard to take in the magnitude of the reef itself. It is, as Ian McCalman writes in The Reef: A History, ‘so extensive that no human mind can take it in, the exception perhaps being astronauts who’ve seen its full length from outer space’ (3). Made up of tiny coral polyps, it is the world’s largest living structure and largest coral reef system, roughly the size of England and Ireland put together. The beauty and complexity of its formation and ecosystems have drawn explorers, scientists, writers, tourists and photographers to its atolls and cays. McCalman notes that the Reef was ‘built by human minds as well as by coral polyps’ (9), which goes some way to explaining the many histories of the Reef that begin with the first substantial record of a European encounter with it, Captain James Cook’s journal. However, it has of course existed long before Cook’s ship became wedged on a piece of coral. The present reef structure is estimated to be 6,000-8,000 years old, while there are more than 70 Aboriginal and Torres Strait islander Traditional Owner groups that have long and continuing relationships with the Reef region and its natural resources. As Wright opens The Coral Battleground, her account of the fight to save the reef from mining in the 1960s, ‘This story has no real beginning and no one knows what its end will be.’ The end, however, may be looming. 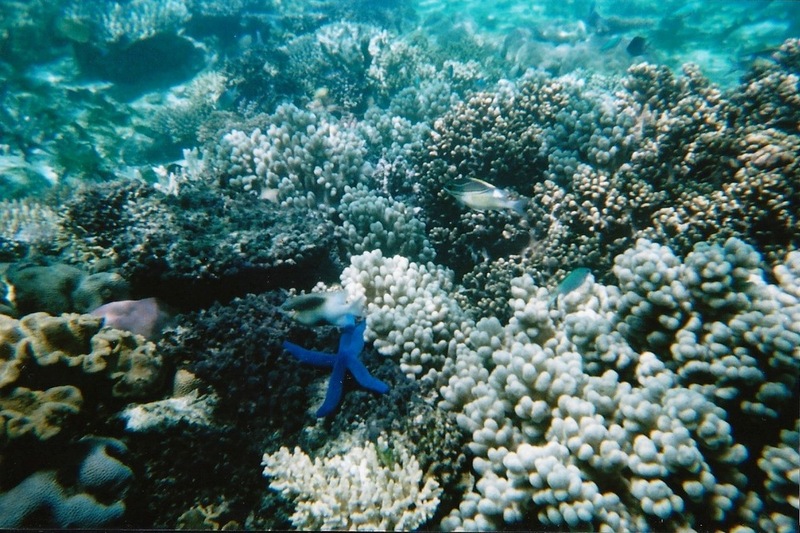 A 2012 paper from the Australian Institute of Marine Science and the University of Wollongong noted that the Great Barrier Reef had lost half its coral cover over the last 27 years. 48% of this was due to storm damage, while 42% was from the invasion of crown of thorns starfish, and 10% due to bleaching on account of increasing acidity of oceans from global warming. Despite this, in December 2013, Federal environment minister Greg Hunt approved a plan for dredging to create three shipping terminals as part of the construction of a coal port. In the ensuing outcry, the government backtracked, and a consortium of developers resubmitted a proposal for onshore dumping. They proposed dumping on the Caley Valley wetlands, which are a filter for water running into the reef. When the new Labor government was elected in Queensland in 2015, they made a decision to prevent dumping. On 1st July 2015, UNESCO made a decision to put the Reef on probation until 2019 and expressed their disappointment in the decline of the quality of the Reef. Meanwhile the price of coal is dropping, major investors such as the National Australia Bank have withdrawn their support for Adani and in November 2015, the Queensland government passed a ban on dumping. However, the Reef’s health continues to deteriorate despite state and federal efforts, as outlined in this article in The Conversation. I protested for the Reef at a rally in 2013, I give money to Getup to agitate for political action to protect it, I’m writing a speculative fiction novel about the reef and climate change, and on Saturday I will be taking part in a swimathon organised by the Queensland Environmental Defenders Office. I’m part of Avid Readers and Writers for the Reef, a collection of fantastic writers and readers put together by the wonderful and independent Avid Reader bookstore in West End. I adore swimming. I grew up in north-west New South Wales where it was so hot that we spent most of our summers in the pool. It’s also useful for me creatively: if I’m stuck with something that I can’t work out in my writing, I take it into the pool and think about it as I swim. By the time I get out, I’ve usually come up with a solution. I’m not so great with my swimming technique though, as the only lessons I had were at Boggabri Primary School and they didn’t extend to tumble turns (which I still can’t do). However, swimming with the literati on Saturday! I’m so excited. Other swimmers are Mary-Rose MacColl, Anita Heiss and Ellen van Neerven, plus some Avid staff (who are so lovely you sometimes want to steal them) and readers (without whom there would be no writers). 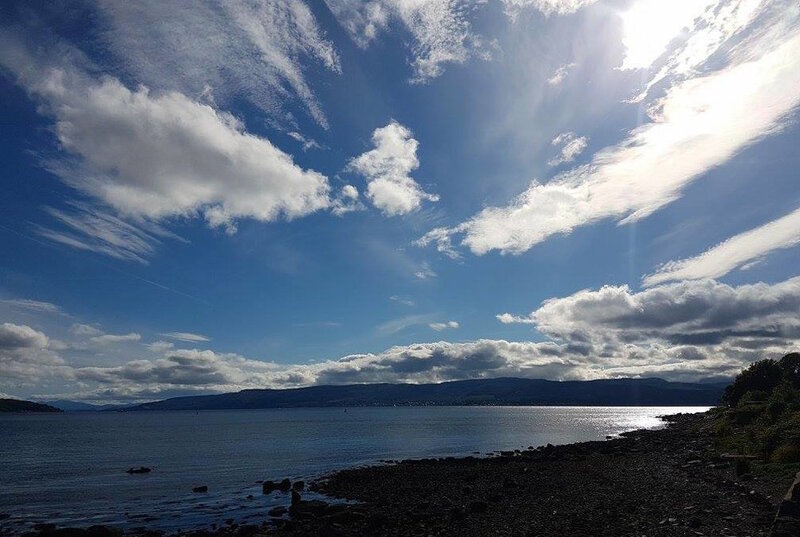 If you’d like to make a donation to support our swimming efforts and to conserve this gorgeous and irreplaceable (at least in our lifetime) piece of the environment, you can do so on this page. A few weeks ago, I came across an article in Inside Story, ‘Everyone was a Bird.’ It opens with a reference to the author’s composition of a song cycle for baritone and orchestra. This composition included the words from a letter that 19th century Western Australian botanist Georgiana Molloy wrote to fellow botanist James Mangles in England about the death of her son by drowning. In the end, the composer writes, he wasn’t able to find the music to fit to the words, and he relied up on the sounds of birds from the bush near Augusta, where she lived before moving to Busselton: sounds of the West Australian bush near Augusta: bristlebirds, New Holland honeyeaters and spotted pardalotes, splendid fairy wrens and a Carnaby’s black cockatoo. Georgiana Molloy emigrated from England to Augusta in 1829 with her new husband, John Molloy. Not long after her arrival, she had a baby girl, who died a few weeks later. She had another two girls, then the son, whom she lost through the drowning. This loss coincided with the request from Mangles to collect Australian specimens and seeds for him. Georgiana went into the bush to take her mind from her grief, and this engendered a radical shift in the way she perceived her environment. Georgiana and her story has not only inspired musicians, but also artists and writers. Miles Noel created a portrait of her for his series on Western Australian scientists, using artistic licence to slip a piece of Boronia molloyae (the only specimen named after her) into her hair. Libby Hathorn wrote a children’s historical novel, Georgiana, Woman of Flowers, while my first novel A Curious Intimacy was inspired by the research I did on Molloy for my Honours year in English literature. Until recently, there have only been two monographs on Georgiana’s life, Alexandra Hasluck’s Georgiana Molloy: Portrait with Background (1955) and William Lines’ An All Consuming Passion: Origins, Modernity and the Australian Life of Georgiana Molloy (1994). Hasluck’s work is a standard biography, citing extracts from Molloy’s letters, which Mangles had copied and bound into two letterbooks (along with others from his correspondents), now held in the Battye Library of the State Library of Western Australia. The structure of Lines’ book is more complex, beginning with an account of the earth itself, then the geological creation of Australia as it broke from Gondwana, and then the populating of south west Western Australia by diverse forms of flora, then Indigenous people, then white colonists. In his preface, Lines explains his approach as a way of avoiding the anthropocentrism of biographies, which ‘situates a human at the centre of the world’ (xi). Molloy, he continues ‘as the single dominating character … holds the different parts of the narrative together, but she is not the only source of that narrative’ (xii). It’s an admirable approach, but the book is unavoidably anthropocentric because humans remain its focal point. While Lines does incorporate more research than Hasluck on the Aboriginal people with whom Molloy and her neighbours interacted (often violently, and sometimes peaceably), he doesn’t refer to the environment again at any great length in his work. I am still indebted to this work, however – if I hadn’t randomly found it on the shelves of a library at the University of California, Berkely, where I was on exchange in 1999, I would never have started my research on Molloy. Now, with the recent publication of Bernice Barry’s Georgiana Molloy: The Mind That Shines, readers have a far more comprehensive and detailed account of Georgiana’s life and her motivations. Over the last decade, Barry has painstakingly combed the archives in Cumbria to piece together Georgiana’s family history. In doing so she reveals a young girl who was forced to make a decision to travel to the other side of the world with a man she barely knew, even if her heart wasn’t entirely in it. In writing this, I’m reminded of a class which Glenda Adams took in my writing course at UTS, in which we discussed a young woman dressing herself and curling her hair before a ball in the nineteenth century. ‘It’s a job, right?’ Glenda pointed out in her soft, American accent. And so were every woman’s accomplishments a gentle, desperate kind of work necessary to find security. Happiness was something that came along if you were lucky. I’d had an inkling of the strain in Georgiana’s family from reading the Cumbria archives, but I never had the time, while I was doing my PhD on Georgiana, to transcribe them. I was enthralled by Barry’s account of the disasters that rippled through the family, and by their desperate attempts to save face. Barry’s meticulous research also reveals a background that John Molloy, whom Georgiana married, wished to keep to himself in the new colony of Swan River. Barry also includes a transcript of the letter Georgiana wrote to her mother when her first child died not long after her arrival in Augusta. It shows Georgiana’s (often overlooked) skill as a writer. ‘I knew not what to do,’ Georgiana wrote. ‘I felt inclined to rush out into the open air and charge the winds with what weighed so heavy at my bursting head’ (172). This sentence is packed with movement (‘rushing’ and ‘charging’) and pressure (‘weighed’, ‘heavy’ and ‘bursting’), suggesting Georgiana’s emotion was too much for her body. Barry’s writing is clean and detailed and, aside from a few moments of authorial intrusion that annoyed me (which would in any biography), the narrative pulled me along. There is also a lovely set of colour plates, and the cover is gorgeous. The research is also testimony to Barry’s patience, because transcribing the letters, which were often crossed to save postage (which the recipient paid) would have taken hours and hours of work. I read this book as I was travelling back to Brisbane from Goondiwindi after giving a writing workshop. The flat, orange-brown landscape outside was worlds away from the lush greenness of Roseneath, where Georgiana stayed with friends before moving to Western Australia, and from the tall tuarts of south west Western Australia. It reminded me of what I love so much about Georgiana’s life: her precise vision of the natural world, and her poetic rendition of this in her letters. I’m a biased reviewer because I’ve been researching Georgiana on and off for fifteen years, but anyone who is interested in remarkable women writers and scientists of Australia should pick up this book. It does much justice to an intelligent, brave and creative woman who achieved an astonishing amount in her too-short, but intensely rich life. This is my fourth review for the Australian Women Writers Challenge. If you'd like to subscribe to these posts and other updates, you can sign up here.